Gertruida’s remark makes them all sit up. While they are used to her coming up with some very strange ideas, this one strikes them as particularly odd. When Servaas – rather cautiously – reminds her that they have chosen to live in Rolbos especially, to escape the madness other people accept as ‘civilisation’ (at the same time reminding her of the dangers posed by foreigners like ISIS and Trump), Gertruida simply shrugged. Of course, this makes a huge lot of sense to the group at the bar. Why fork out good money when visitors would not only solve their problems with the infrastructure, but also boost Boggel’s profit…which in turn would reduce the cost per glass? Simple mathematics. They all nod. Of course she has to explain the Survivor concept to the patrons in Boggel’s Place. The outlandish idea of exposing teams or perfectly normal people to completely insane conditions makes no sense to Kleinpiet. Like most ideas generated after a few beers in Boggel’s Place, this one gets analysed with great care. Yes, they all agree, this is a sure thing – provided they come up with a novel concept. Their final proposal gets drafted that same evening. “So, there we are. A nice little list of items with enough endurance and fear to make millions want to watch.” Gertruida glares – somewhat bleary-eyed – at the paper. 1. Sheep Dog Imitation: the team has to round up a flock of scattered sheep and chase the flock through a gate. 2. The Ostrich Race: grabbing eggs from the roosting ostrich on Kleinpiet’s farm. 3. The Kudu Relay Run: team loaded on Vetfaan’s Land Rover, with one runner chasing a kudu. When the runner tires, he gets on the Landy while another runner takes his place. Judging will involve both distance and time to catch up with the antelope. 4 The Great Lion Escape – this item still needs refining. “I think it is a great proposal, but item 5 is just too scary to include, guys.We cannot really expect even the strongest of the strongest to endure so much pain. I think it’s inhumane.” She glances up to see if they all agree. Two months goes by without a response from the TV moguls. 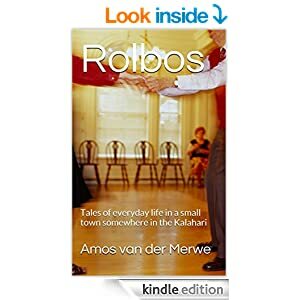 This entry was posted in adventure, Kalahari, short stories, South Africa, Uncategorized and tagged rugby on October 10, 2016 by Amos van der Merwe. Whenever Gertruida starts telling them stories, the little group in the bar falls silent, paying close attention to what she says. Gertruida never just tells a story – she has the uncanny ability to recount fables at very strategic times; when the fable really mirrors the bit of history unfolding in the current situation. That’s why – when she finally falls silent – that they all stare out of the window, wondering how Boggel managed to understand while they didn’t. A long time ago (Gertruida says) and also in recent times (typical Gertruida), a jackal spied a rabbit in the tall grass. Now, this was exactly what Jackal felt like at the time: a nice, young, succulent rabbit, slowly roasted over a few embers and served with a few termites on the side. The problem was that Jackal was on the one side of a river, and the rabbit was feeding on the opposite bank. Jackal, like many of his brothers, had never learnt to swim. Despite this handicap, Jackal wasn’t entirely stupid – he was even more cunning than Snake and Scorpion combined. He was also ruthless, a trait the other animals were aware of all too clearly. So Jackal sat down, eyed the rabbit, and imagined how much he’d enjoy his next meal. But how? How to get to that rabbit? The problem had to be solved! He had, of course, seen other animals swim. Badger was very good at it and even Buffalo could manage. Other animals, however, had failed dismally; like Tortoise for instance. The way Tortoise drowned, made Jackal very worried. If he were to attempt – and failed – that’d mean the end of him. He wasn’t prepared for that yet. He then thought of getting help from Owl.. As one that preferred hunting at night, Owl would be sleeping during the day and be an easy one to catch. And once he’d convinced Owl to take him across, he’d be onto Rabbit in a flash. Owl was, after all, big and strong and more than capable of carrying his weight. Owl was, to say the least, not impressed. Jackal reminded Owl that he knew exactly where Owl’s nest was and that he’d make a point of stealing the next batch of chicks. Owl grumbled and moaned, for he actually liked Rabbit; but because of Jackal’s threats, he gave in with a heavy heart. “You promise to leave me alone after this, and never touch my nest?” Owl didn’t trust Jackal very much. Well, Owl flew Jackal across and put him down on the other side. Rabbit, however, saw him coming and hid behind a huge rock. But Jackal would have none of that. He wanted that Rabbit and no Eagle was going to stop him. So he crept up the hill where Eagle lived and tried to see what was in her nest. And Eagle, sharp-eyed as ever – saw him coming and threw a few small stones at him. Jackal persisted and approached even closer. Then Eagle flew up high, high in the sky, and dropped a large rock on Jackal’s head. The blow was so accurate and so hard that Jackal became confused. He swore he’d get Eagle if that’s the last thing he’d do. And Eagle laughed, sprouted celebratory feathers, and flew off to her inaccessible nest on a high cliff. And so it was. Jackall could not go back to his home any longer – the river was too full and he still couldn’t swim. Owl laughed at him, telling im that as long as he couldn’t cross the river, he’d never be able to threaten his nest again. And Jackal looked around him, realised he couldn’t get to his old home and his hunting grounds at all, and became exceedingly angry. She falls silent and turns around. The puzzled frowns on her audience’s faces pleased her tremendously. It is Boggel who breaks the silence. 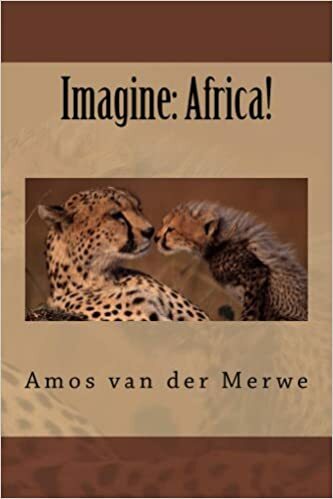 This entry was posted in Life, short stories, Uncategorized and tagged fable, politics, south africa, WPLongform on February 16, 2016 by Amos van der Merwe. As usual, Servaas is in a bad mood in the beginning of the year. He says he’s just gotten used to writing 2015 on his cheques and now it’ll take weeks before he gets 2016 on every one. Gertruida laughs at this, knowing it isn’t true: Servaas simply doesn’t want to add another year to his age. Servaas shrugs. He’s not going to grace the debate by adding to it. “Did you know, Servaas, that it’s one of the most popular modern Christmas songs? However. it has its roots way, way back. If I remember correctly, it’s based on the 13th-century medieval legend by Gautier de Coincy, in about 1220, called Le jongleur de Notre-Dame. 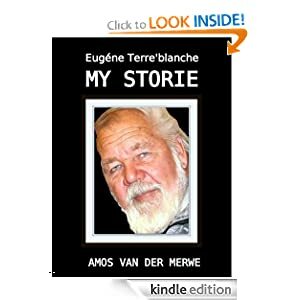 The story tells of a juggler who became a monk and the French author, Anatole France, published it again in 1892. Beautifully written, the legend sketches the events on Christmas day, when all the monks in the monastery offered gifts to the statue of Mary. However, the juggler was too poor to buy one and had nothing fancy to offer. What to do? When it was his turn to lay down a gift in front of Mary, he stepped up and did what he does best: juggle. “Oh yes, you do, Servaas. Katherine Kennicott Davis wrote the song in the middle of WW II, in 1941 and called it The Carol of the Drum. That song evolved into the popular song we know today. Incidentally, the Trapp Singers – the family made famous by The Sound of Music – made the first recording. You’ll remember that an earlier generation of the Trapps were responsible for the preservation of Silent Night. Servaas keeps on staring at the radio. Servaas goes ‘harrumph’. Then he blushes. 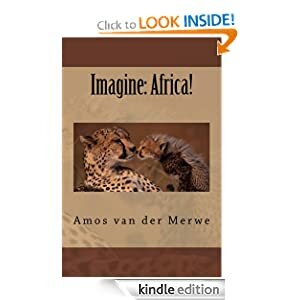 This entry was posted in christmas, History, short stories, Uncategorized and tagged carol, christmas, Trapp on January 2, 2016 by Amos van der Merwe. Sparks Strydom and his Speeding Gun. Now, if you’re a regular traveler between Upington and Rolbos, you’ll know all about Sparks. He’s a sinewy man of about fifty, sporting a small moustache and a goatee beard. He’s not altogether unhandsome, but the high cheekbones and the sunken eyes combine to give him a cadaver-like appearance, which seem to frighten children. The few who know his story, also know that he’s a kindhearted, gentle soul who’s only trying to make ends meet. Yes, they all nod, Sparks could have had such a bright future. He had been the star student in Pofadder High, the only one who passed matric with distinctions. A bursary was offered to study engineering, but the Border War intervened and he was conscripted to the army. “Ja, shame, the poor guy. And when the war was over, he tried to study. Lasted two weeks in the university before the professors realised he couldn’t keep up. Such a pity.” Kleinpiet recalls the day he met Sparks in Upington. He had been shopping for a new transistor radio at Kalahari Electric, when the gaunt man behind the counter offered his help. It was an embarrassing moment. Kleinpiet smoothed it over with smalltalk and then said he wanted to buy a radio. Sparks shuffled away to call the other salesman. The group at the bar remains silent for a while. Yes, they do feel sorry for Sparks. And yes, they know how the scars of war sometimes never heal. Politicians so often blow on the embers that flare up emotions, cause conflict and result in harm and bloodshed. Gertruida once said it’s the result of an imbalance in the logic/ego ratio. Once the ego increases in a disproportionate ratio to logic, irrational circumstances are sure to follow. They all nodded wisely as she said this, just to show her they weren’t ignorant. Afterwards they tried to figure it out until Servaas told them about the rabies one of his dogs once contracted. It’s a fatal thing, he said, when the brain cannot cope with fear. That, they agreed, was what Gertruida tried to say. “At least he’s making an honest living,” Boggel say as he refills their glasses. They laugh at that, because they know Boggel is just trying to lift the mood. Just like stopping when Sparks holds up a hand when you approach, one should at least smile when Boggel makes a remark like that. Note: If any of the readers ever travel to Rolbos, please be on the lookout for Sparks. He’s the one with the Ricoffy tin next to the road. He’ll stop you and make you read the little ‘screen’ on the back, where ‘150 km/h‘ is clearly scrawled in his shaky handwriting. This entry was posted in Biography, border war, short stories and tagged border war, conflict, insanity, kalahari. 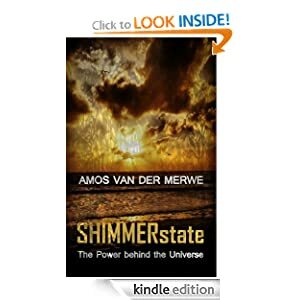 on October 30, 2015 by Amos van der Merwe.